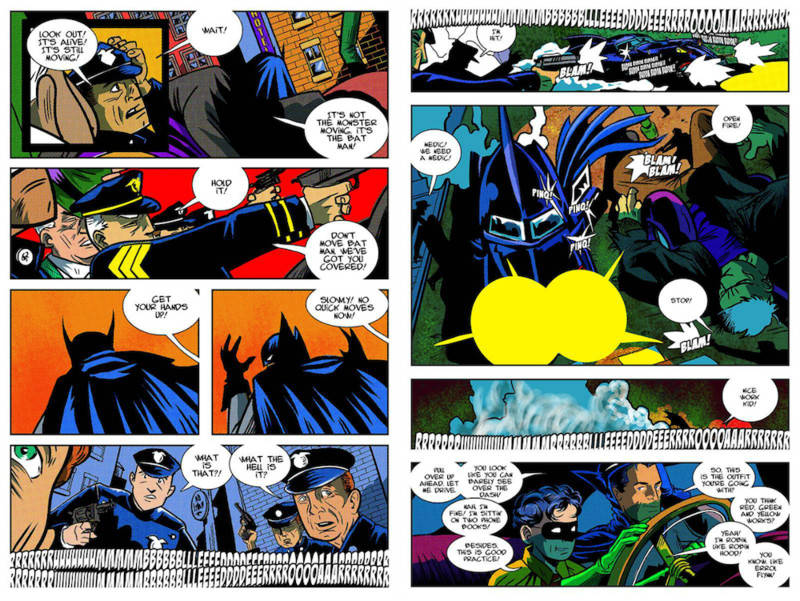 One aspect of Andy’s comic — The Death Ray of Hugo Strange — is its use of elements from the ’40s Batman serials. It’s a passion within a passion near and dear to Andy’s heart. 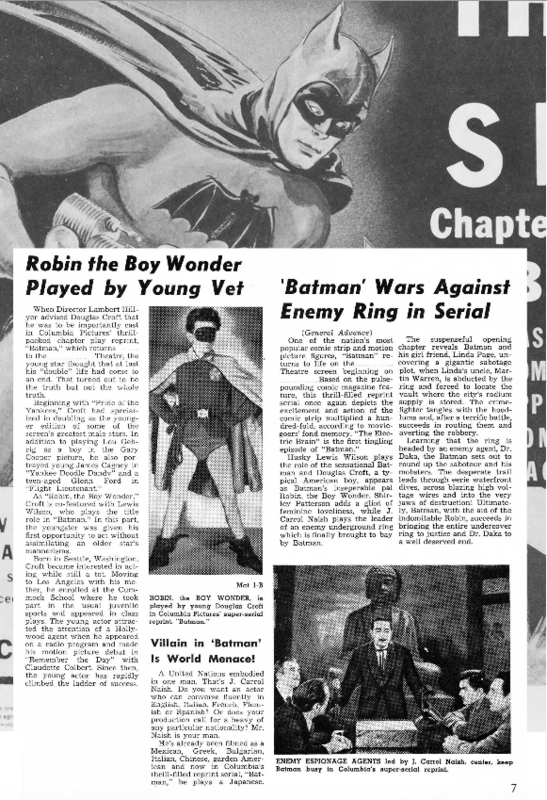 So much so that he’s self-published another project: The Batman Pressbook, a collection of news materials related to the serials. 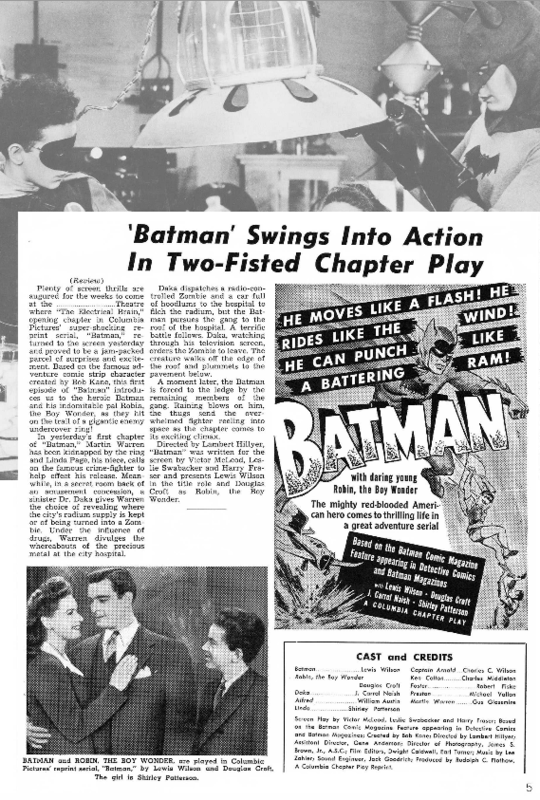 The publication reprints the 1954 re-release press book for the 1943 serial, starring Lewis Wilson and Douglas Croft. It also includes original ads, lobby cards and an article from a 1963 issue of Screen Thrills Magazine, which covered both serials. 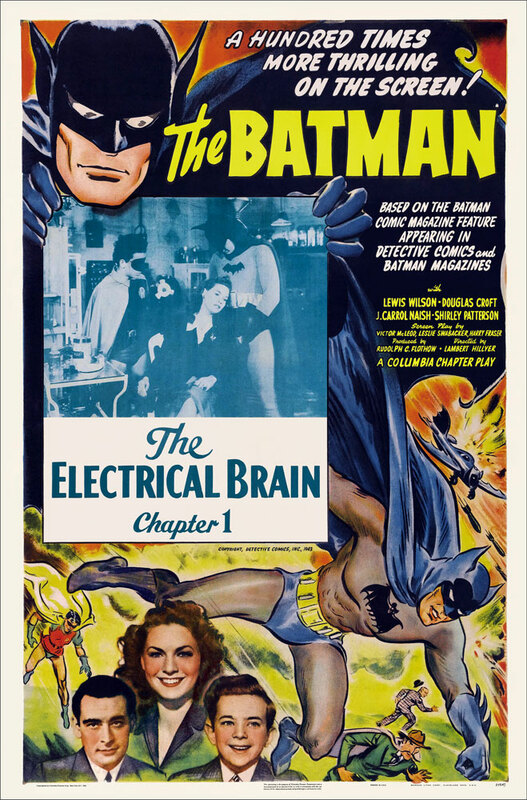 This is a great piece of Bat-ephemera. And it’s dirt cheap. Andy’s selling it at cost: $2.38 a pop, plus shipping and handling. He’s selling it at cost. 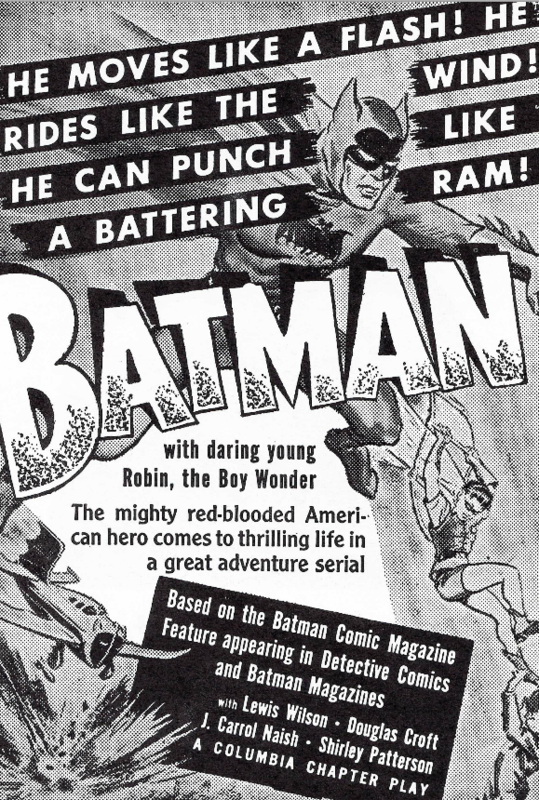 He just wants to spread the word about these underappreciated chapters of the Caped Crusader’s history. For ordering info and a preview, click here. Just ordered mine. Incredible, can’t wait.